I’ve created a mass of characters, in a similar world building vein to Pratchett’s Discworld. But out of all of them, I think my current “favourites” are Alexandre Jutt (shadow), Yaska May Däwngale (who may be my anima) and Chloe Rhye. Chloe is essentially a genius, but also a complete ditz who stumbles over her own sentences. She’s well read, but introverted and lacks formal education. I guess those are standard for her “type” though. Sort of. I’m deeply interested in seeing how she reacts to the real world, as is her father, who sends her on a quest of sorts in her adolescence. Her young adulthood is where it really gets interesting for me though, and that’s the story I’ve been trying to write for over two years. The coolest thing, I think, regarding Chloe is her potential as an individual, and her lazor eyes. I came up with lazor eyes being a sort of racial trait for the Solune when I was much younger (four or more years ago! ), but now that I’ve begun to explore archetypes and symbolism as a young adult, I’m seeing a sort of meaning behind it. Chloe is possibly the most powerful user of lazor eyes/lazor plasma, and I think it has something to do with vision. Chloe, being a genius, is a visionary. In her youth, she doesn’t have a lot of control over it, and it emits passively out of her wounds. She avoids using her power because she doesn’t know what will happen. Later, she focuses it, and takes control. That is the character arc in The Solune Prince. There’s a lot of symbolic importance to eyes, if you look back to the ancient gods Horus and Marduk. I don’t know where my subconscious finds it (although Jung would call it “The Collective Unconscious”), but I’m deeply interested in seeing what Chloe is capable of. Are you? An Argument for Symphonia and its theme. This was a reply to a reddit post that essentially stated that Symphonia was a bad game. The poster argued his point by comparing it to other tales games, instead of judging it on its own terms. I enjoyed the critique, but found it deeply flawed. This argument contains some spoilers for the first third or so of the story, but nothing game-ruining—I could explain to you the entire plot, and the game still wouldn’t be ruined. Symphonia is about overcoming corruption. 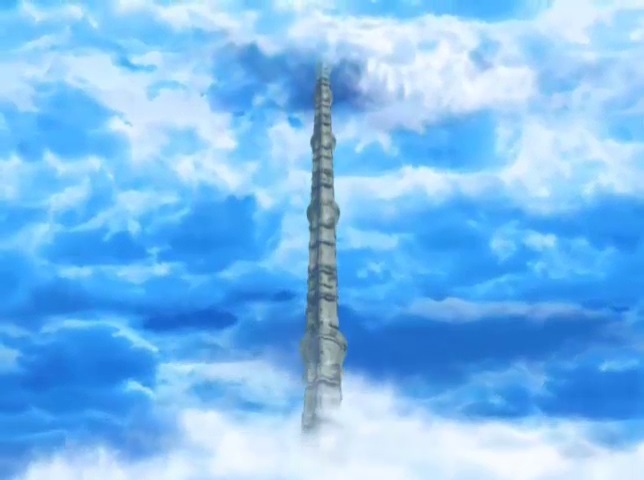 The tower that reaches up unto the Heavens, The Tower of Salvation. The crux of the game is introduced at the Tower of Salvation, about one quarter of the way into the game. They find out that the religion of Martel that underlies their journey to regenerate the world is a sham, and that it’s just a tool for a failed system. It’s a corrupted system with a convoluted goal, run by the selfish, in-fighting Cruxis. 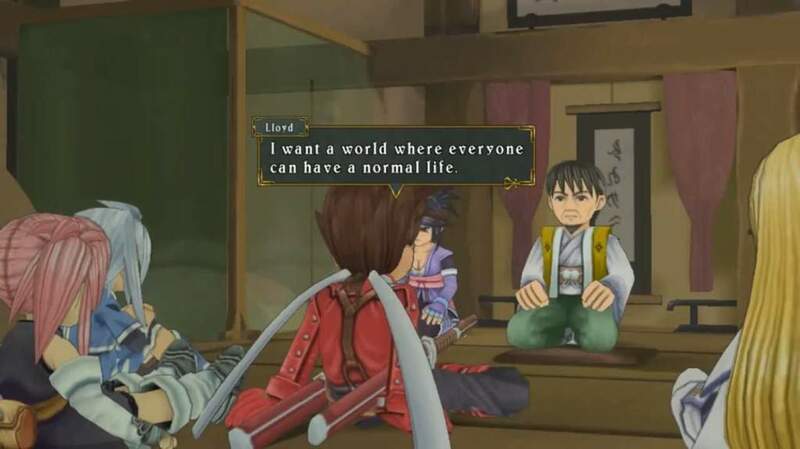 Most of the latter half of the game is Lloyd (the “gentle idealist”) and company rejecting the dichotomy of, either two worlds vying or one of them dead. Lloyd rejects both and tries to find a way where everything can be decent. There’s a harmony between the form and the content too, which (academically anyway) is a meaningful strength in a narrative. If the game is about subverting corrupted systems, then with each of its characters, it presents an RPG archetype (or system), and then subverts it. Lloyd, the “shounen-hero” standard, becomes a thoughtful idealist, and then acts on those ideas throughout the plot. Collette, the sacrificial Mary Sue, struggles with physical and spiritual illnesses throughout, and is constantly taking on loads of responsibility… and doing it well. Genis, the genius child caster, is (unusually, if you know the type) still childish, despite his ability. He’s a bit racist, arrogant, and he whines and cries about things. I could go on, but feel free to try it yourself. You can look at anyone from Sylvarant and see a video game trope, but if you reflect further (especially on their actions after the Tower even) you’ll see that they unravel their own tropes to reveal depth and individuality. This marriage of content and form isn’t only found the characters; even the game itself starts off as a cliched system. Four seals? An adventure to save the word? Magitechnology that has gone extinct? an “empire” of bad guys? Sounds like every JRPG from the Super Nintendo to PlayStation era. But, after the Tower of Salvation, this is again shed to reveal something further down in the core of the game. Notice that the Tethe’alla party members don’t seem to fall into tropes like the Symphonia crew do (and if they do, it’s often far less overt). Zelos and Sheena are very strong examples of this. In Tethe’alla, the Desians are no longer the main threat; there’s an underlying layer beneath it. Seals also now have a doubled reason for existing—the releasing summon spirits. And, of course, the entire system of the two worlds that need to be saved, instead of just one, becomes the active problem in the game. You don’t have to like Symphonia. You don’t even have to like video games. Plus, the idea of dismantling flawed structures and tyrannical systems doesn’t resonate with everyone. (If you think about it, the theme might be the reason why it’s more popular in the United States than it is in the more conservative Japan.) I advise that you judge Tales of Symphonia for what it’s actively attempting to do with its narrative. Everything else, in the grand scheme of things, is secondary. P.S. Here’s the original argument to which this post was a reply to, followed by my original rebuttal.